Train tickets for Vietnamese train services need to be purchased in advance. For longer journeys on newer trains trains can be booked upto 60 days in advance. For shorter journeys on local trains tickets may only be purchased 2 or 3 days before the date of travel. If you are planning to do long journeys in Vietnam purchase your tickets in advance at least 30 days before you travel. If you are planning to travel around Vietnam by taking shorter trips on local trains buy the tickets at a train station 1 or 2 days in advance. For trains in Vietnam there is no requirement to have a ticket which is printed out by the railway operator (this is different to Thailand) and you can print out the electronic voucher which is sent to you by e-mail after payment and confirmation of your booking – it is that simple! There are 5 basic seat types. The list below goes from most comfortable and most expensive, to least comfortable and cheapest. In Vietnam the cheapest tickets are the ones which tend to sell out first. Soft Sleeper 4 berths in a compartment with pillow sheet and duvet provided. In the daytime the bottom bunks are used as seats. Hard Sleeper 6 berths in a compartment with pillow sheet and duvet provided. In the daytime the bottom bunks are used as seats. The hard beds lack the soft mattresses for those in the Soft Sleeper seats. Air-Conditioned Soft Seat Modern reclining train chair in an air-conditioned carriage. Air-Conditioned Hard Seat Wooden seat in an air-conditioned carriage. Hard Seat Wooden seat in a carriage where temperature control involves opening and closing the windows. 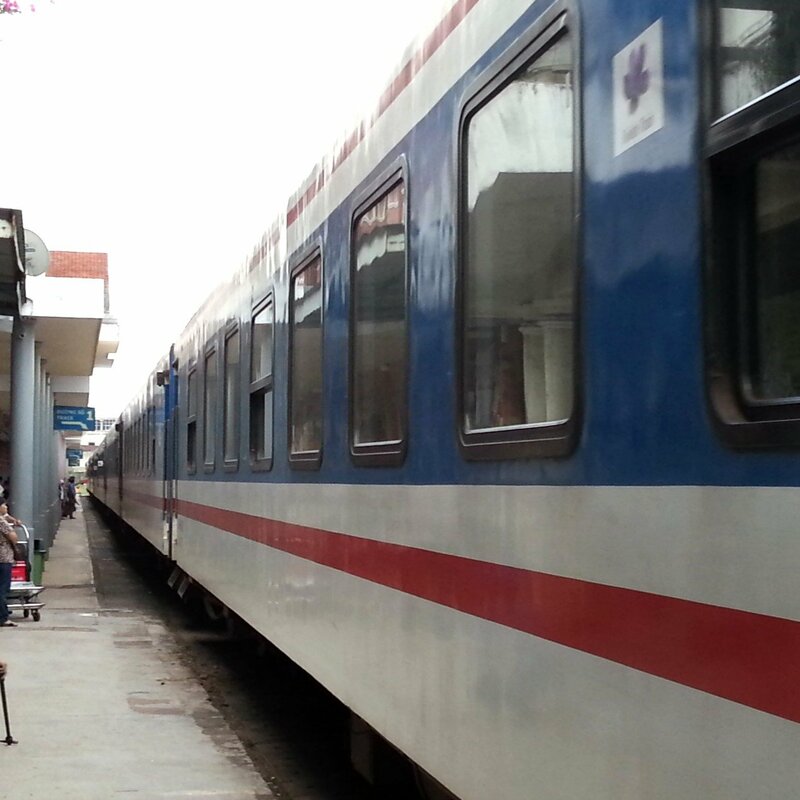 Open tickets and rail passes are not currently available for use on Vietnam’s railway network. If you plan to do several short journeys then you will need to book a separate ticket for each journey in advance.